‘Roll up, Roll up’ The circus theme party hire is one of the most popular theme parties around. There is so much going on at this ”circus theme party hire” it is great. We have all the circus theme backdrops of the big top, the circus ring and the trapeze, along with all the circus props the clown cut outs, the ring master boards and much more. What circus theme party hire would be complete without the life-sized statue of a lion. The circus theme party hire is always very popular, with children and adults. There is so much themed entertainment you can have from the mix and mingle jugglers, the acrobats and the stilt walkers. After dinner you can even have a circus skills workshop, where all your guests can learn the trick of the circus performers. The circus theme party is one of our most popular theme party events. The circus party nights and the circus party theme are a great idea. The circus theme night lends itself to lots of entertainment ideas. Our circus party themes with all the games and entertainers are great. The circus theme parties are available throughout the UK. We hire circus theme party fun to a wide range of clients. You can hire circus theme parties for children and adults and you can hire circus theme nights. We hire circus theme props and all the backdrops. The circus theme props are great the ringmaster boards, the lion statue and much more. You can hire circus entertainers the clowns, the stilts and the trapeze. 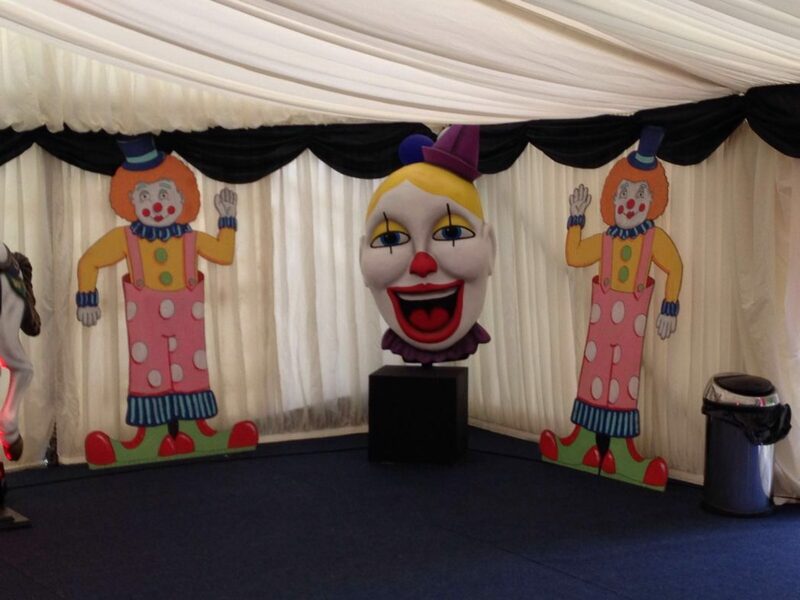 The circus theme party fun starts here, we have great event prop hire for the circus theme. Circus theme party hire is great for all ages. We supply a wide range of themes and will transform your venue into an amazing scene. We cover the whole of the UK with our circus theme party and the themed entertainers will always make this a theme everyone remembers. The theme parties are great nights as they create experiences for the guests totally different from other parties. The circus theme party is especially busy during the summer months with balls and company events, and the circus theme party can be carried on through after a company fun day. Call our experienced sales team for great ideas and options for your next theme party or event. Circus theme party hire is great for a fun evening with friends.